Spring 2010 Blogger’s Quilt Festival! It’s like show and tell! I’m Showing and Telling about Urban Nature. My sister-in-law asked me to make her a quilt last summer. I was very flattered because I had only been quilting for about 6 months. I figured it would be a lap quilt, which I could totally manage, but she requested a queen size quilt. Even though I had never made anything that large I was up for the challenge. 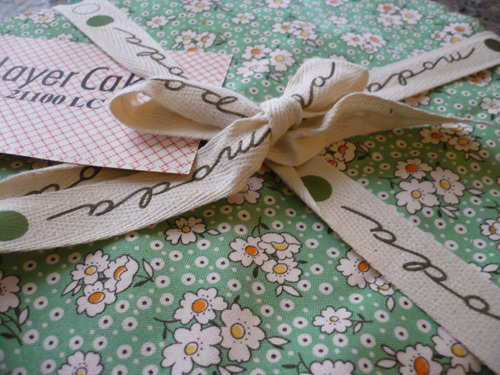 She purchased some hand painted fabric scraps from an etsy store (I can’t remember which one), and in July she gave me the scraps and we brainstormed about what to do with them. Over the next few months I searched and searched for the perfect coordinating fabrics. Believe it or not it was a bit tough finding the coordinating fabrics…the fabrics had to be solid, with no pattern, and I didn’t want to venture away from the earthy browns, greens and creams, but I also wanted there to be variety and contrast. I love that she gave me so much creative freedom and trusted my choices. 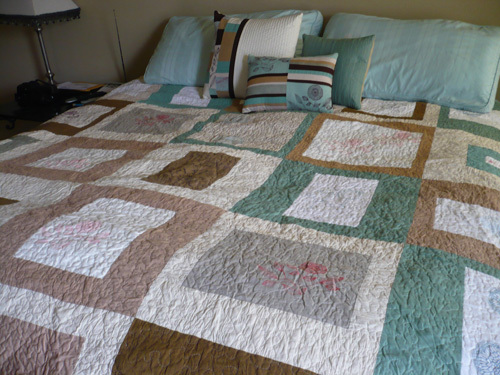 The big thing I learned while making this quilt is that I could actually quilt a 95 x 95 quilt on my home sewing machine. How’d I do it? With a method called low carb quilting. What’s that you ask? 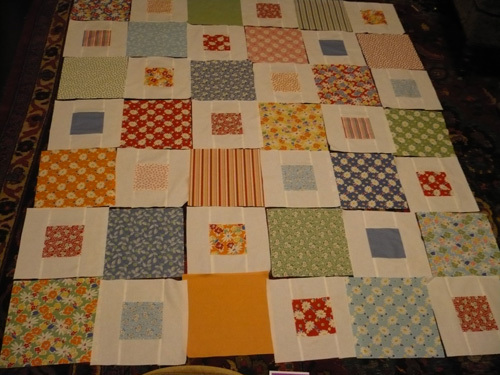 I made the entire quilt top, and when I got the quilt sandwich ready I cut the batting into thirds. 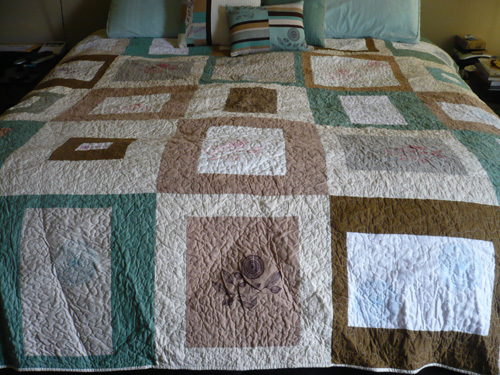 I place one third of the batting down the center and quilted the center, about 36 x 100. 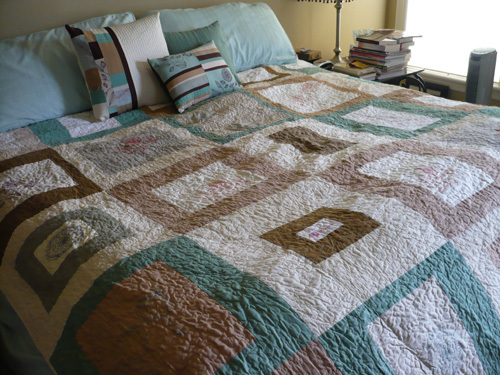 It made it so much easier (and lighter) to maneuver the quilt. Once I finished the center panel I used a joining foot and joined the right side of the batting to the center batting panel. 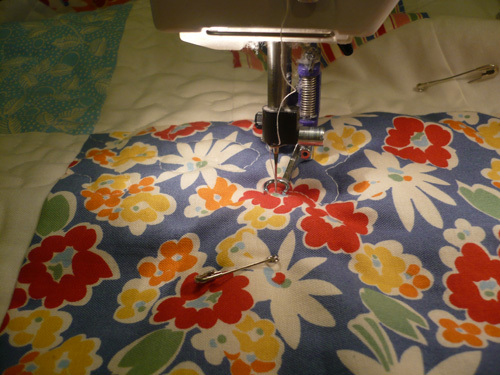 I used a zig zag stitch, which is very secure, and by using a joining foot, there is absolutely zero seam bulk. After I did the right side I did the same thing to the left side. And viola! My sister-in-law also asked that I make a pillow, but I couldn’t just make one, especially since it was for a queen size bed, so I made 3. 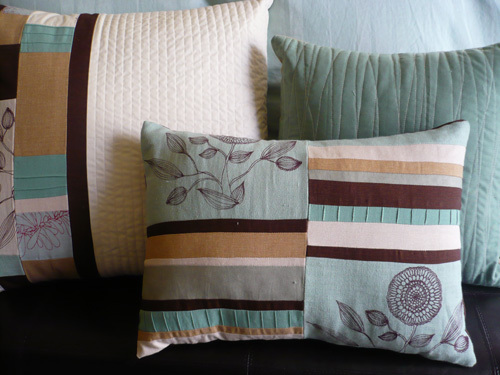 The pillows look so cool with the quilt. 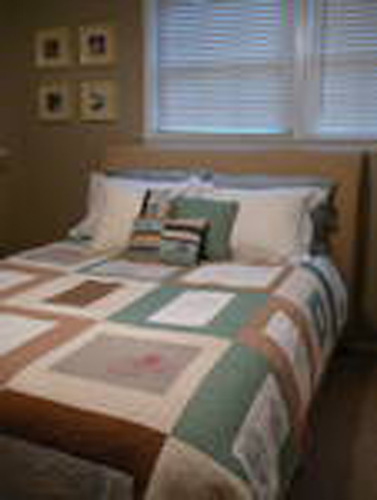 I love the quilt and pillows so much, and am very proud of myself for designing this quilt and actually quilting it all by myself! Jen, my sister-in-law, sent me a picture of Urban Nature in its new home.